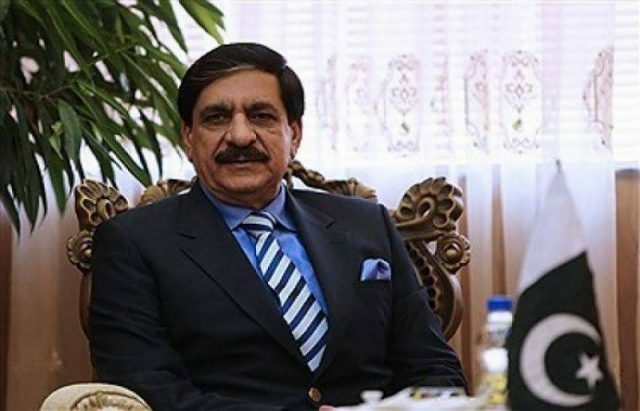 ISLAMABAD: British Ambassador to Afghanistan Sir Nicholas Kay along with British High Commissioner to Pakistan Thomas Drew met National Security Adviser (NSA) Lt General (retd) Nasser Khan Janjua on Wednesday. Matters pertaining to regional peace, security and stability with reference to evolving political and security situation in Afghanistan were discussed. Both sides discussed the security situation in Afghanistan at length. NSA explained the complexities of the perpetual conflict and highlighted the role played and contributions made by Pakistan to fight the menace of terrorism. NSA reiterated Pakistan’s commitment to peace and stability of the region and said that Pakistan has always supported all peace initiatives for Afghanistan. “Peace in Afghanistan is peace in Pakistan. We are sincere and committed to Afghanistan and its people. For sustainable peace in the region, peace in Afghanistan is a prerequisite,” he added. The ambassador acknowledged and appreciated Pakistan’s efforts against terrorism and also highlighted the positive role of the British government for a sustainable peace in Afghanistan. NSA admired the efforts of UK for investing in peace in Afghanistan and said that the UK had always played a positive role in peace and stability of Afghanistan and the region. Both sides agreed that it has to be a cooperative framework and both Pakistan and Afghanistan should resume engagements at all levels to include government, diplomatic, military, intelligence and people to people. The NSA, however, reaffirmed that more than anyone else, the sitting government of Afghanistan can play a major role to bring peace in Afghanistan. He added that a way to a better future needed to found out collectively. Both sides agreed to strengthen cooperation to ensure lasting peace in Afghanistan and the region.